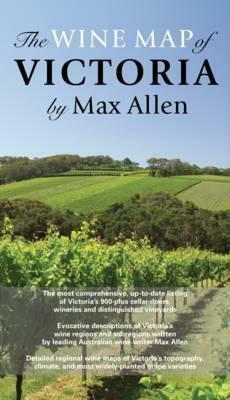 With text by leading Australian wine writer Max Allen, this double-sided, full-colour map is a comprehensive listing of Victoria's 900 cellar doors, wineries and distinguished vineyards. One side of the map shows Victoria and all its official wine regions, subregions and zones plus over 500 vineyards, wineries and cellar doors. The other side of the map shows the Port Phillip area and Melbourne's four closest wine regions: the Yarra Valley, Mornington Peninsula, Geelong and Sunbury. This Melbourne area map has over 300 vineyards, wineries and cellar doors accurately mapped. Both sides of the map include highway numbers and road names to help get you there. Also included are climatic maps of total annual rainfall, annual hours of sunshine, daily January temperatures and maps showing the State's six most common grape varieties.